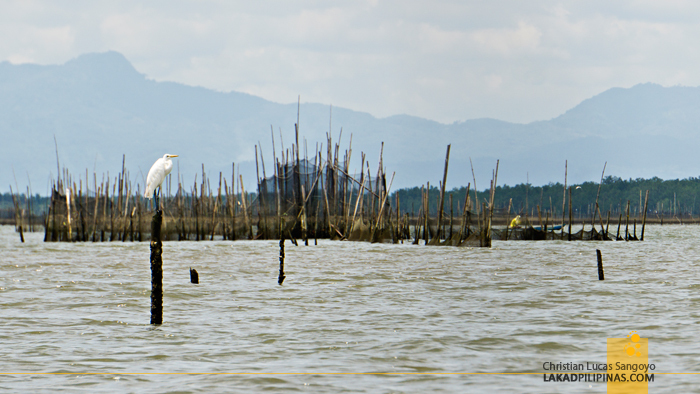 Part of our weeklong Zamboanga City tour includes a visit to the neighboring province of Zamboanga Sibugay to join the first ever World Migratory Bird Day in the Philippines. 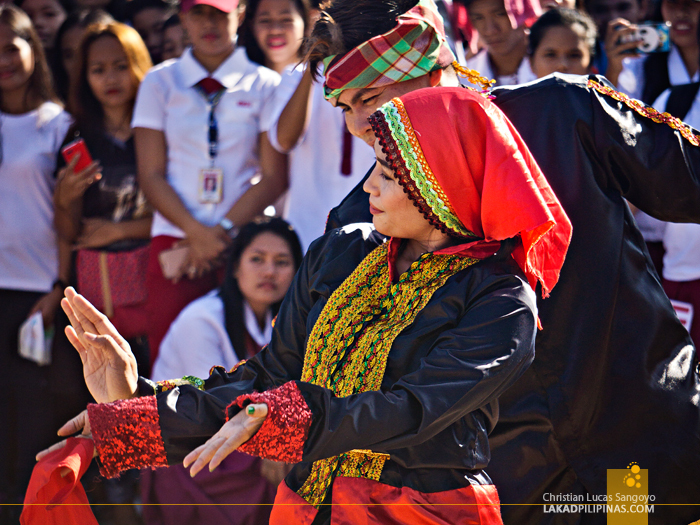 The celebration is set at the town of Siay where the Siay-Kabasalan Wetlands is located, one of the major flyways for migratory birds in the region. 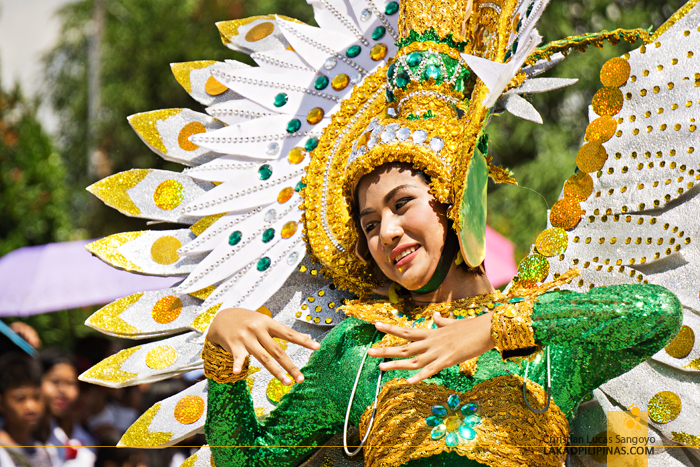 Siay is about four hours away from Zamboanga City and we witnessed how they celebrated the World Migratory Bird Day through art and photo exhibitions, dance competitions, bird costume contest, and even a bird mascot showdown. 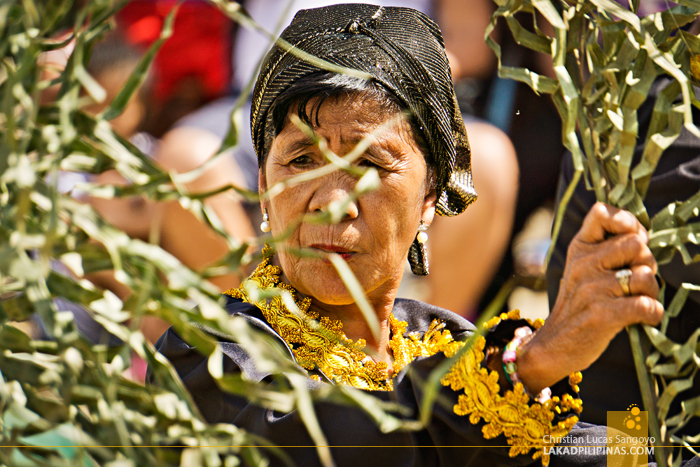 The festival, being a first, isn’t really as grand as say the Zamboanga Hermosa Festival and lasted only from October 12 to 13. One of the things I really liked about it though was the group of Subanen elders who played their gongs, dancing along the beat with their traditional clothes on. Legit. The next day, we got to visit the Siay-Kabasalan Wetlands where migratory birds from the East Asian-Australasian Flyway briefly stop to rest and feed before completing their set routes. This flyway, one of the nine major in the world, runs through twenty two countries with at least fifty million water birds, including thirty two globally threatened species, flying through it. 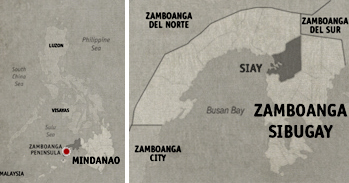 The Philippines currently has four Flyway Network Sites—the Olango Island Wildlife Sanctuary, Naujan Lake National Park, Tubbataha Reefs Natural Park, and the Negros Occidental Coastal Wetlands Conservation Area (the popular Candaba Swamp isn’t included on the list). 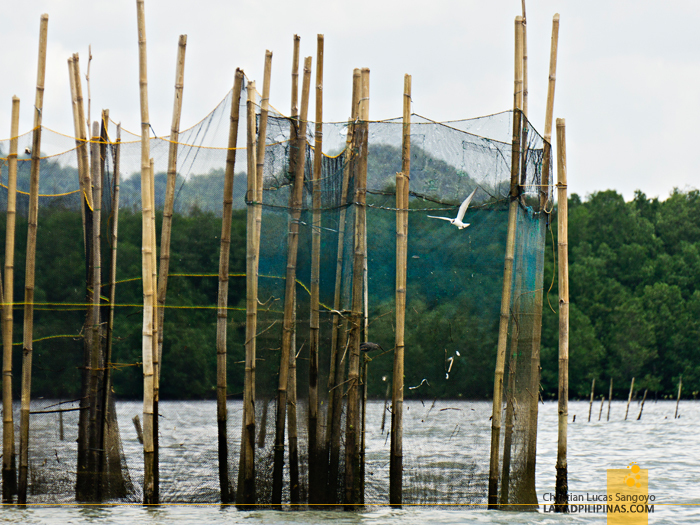 The Siay-Kabasalan Wetlands is currently under nomination to be the fifth official one for the country. Getting to the wetlands, we boarded a medium-sized outrigger boat. 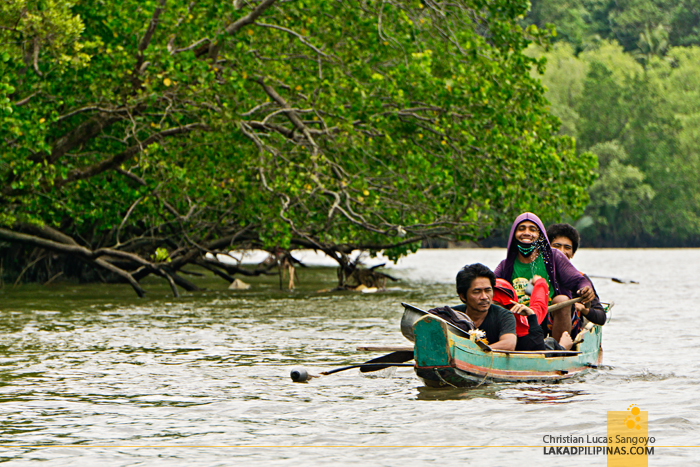 The mangroves around the area actually reminded me of the mangrove forest we went through during our Palaui Island tour. 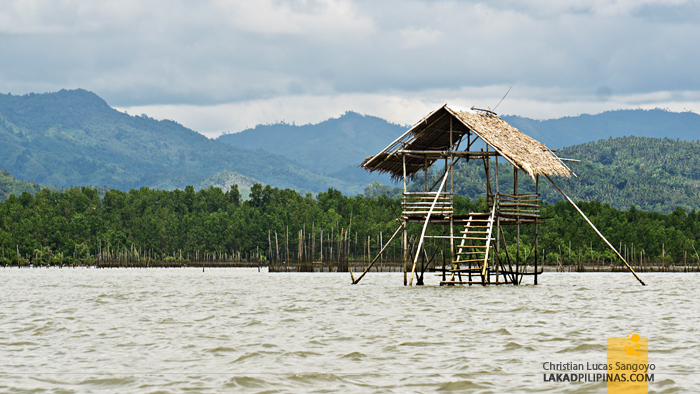 Both sides of the river are populated with thick mangroves with a few houses on stilts along the way. A tidal flat filled with migratory birds revealed itself as the water started to ebb. We watched the birds from the boat, but a few of our companions actually went down the islet, their feet sinking through the soft mud up to their calves. They caught up to us on one of the elevated stilt houses where lunch was served, all muddy but quite happy as they got to see a lot of the migratory species up close. We feasted on chicken adobo, steamed prawns, fish kinilaw, grilled bangus, paella, and biko as we watched mean-looking and streamlined baroto boats race across the waters like the devil was after them. A full race was about to happen some hours later but we have a plane to catch in Zamboanga City. Going back, we rode smaller craft, a motorized wooden canoe. 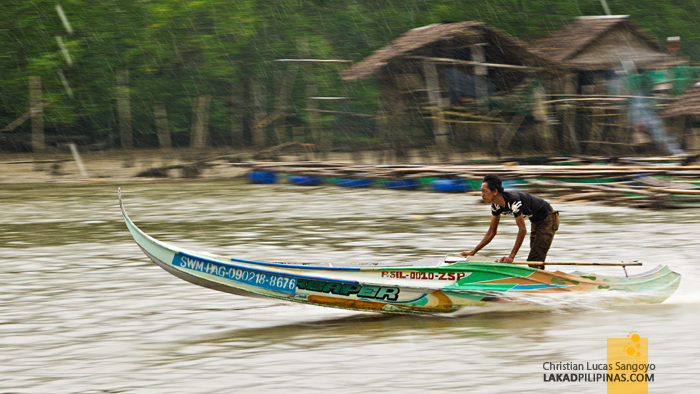 The rain started to pour as we set off, fully drenching us as we glided along the serene waters of the wetlands. Mist started to creep in. And as our path narrowed, the trees started to converge, forming a sort of tree tunnel. It was one of the most magical moments during our weeklong Zamboanga adventure.